The Ikra Fishing & Hunting Camp offers to its guests various options of boats/cutters capable of satisfying wishes of both sophisticated fishermen preferring dynamic fishing with active search for fish and beginner fishermen. All the boats are equipped with Lowrance depth finders and life vests. 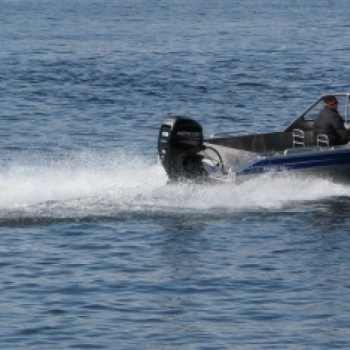 The up-to-date all-welded aluminium boat fishing, hunting and active recreation. The boat frame is welded from AMg5 sea aluminium which provides reliability and safety for passengers when moving. The boat is equipped with soft seat covers which makes a trip comfortable in any weather. 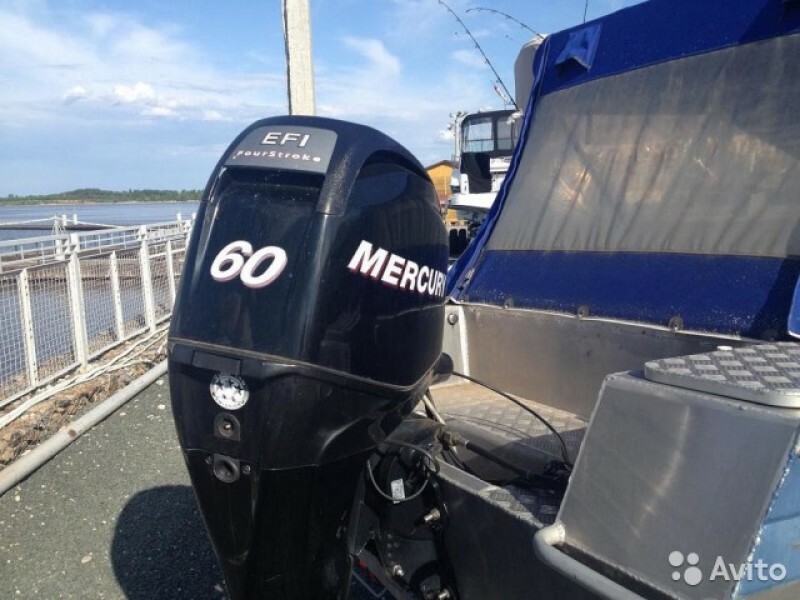 The maximum speed at full loading with the ELPT EFI Mercury 60 horse power 4 stroke engine is above 60 to 65 km per hour. Due to shallow water draft (20 cm) and 4 stroke engine sufficiently powerful for such a boat, this boat is splendidly fit for active dynamic fishing and will give an opportunity to explore and fish off a big water area. This boat has an open bow cockpit which provides additional comfort when fishing or hunting. The boat is equipped with a bridging board that makes it comfortable to board the boat. The price is 85 USD per day. The rental of this boat always includes a fisherman/hunter. The fisherman’s / hunter’s services are included. 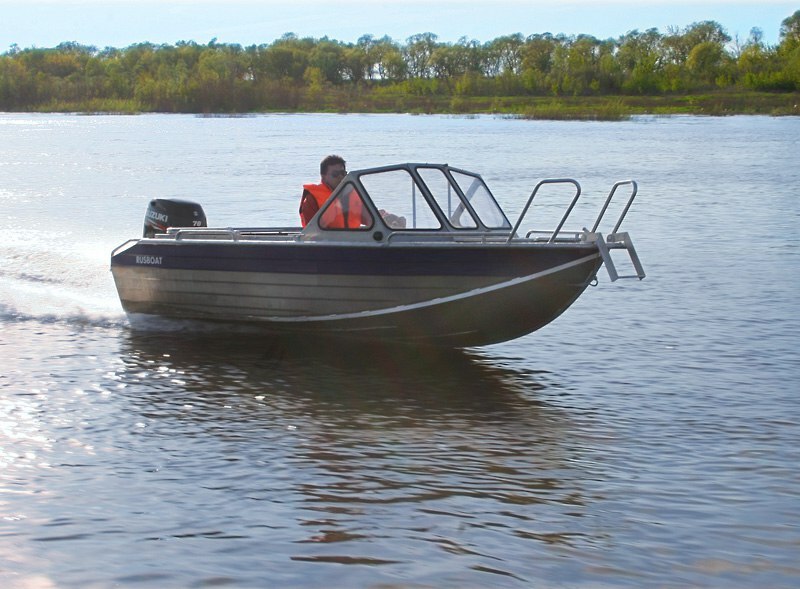 The up-to-date all-welded aluminium boat for fishing, hunting and active recreation. The boat frame is welded from AMg5 sea aluminium which provides reliability and safety for passengers when moving. The boat is equipped with soft seat covers which makes a trip comfortable in any weather. 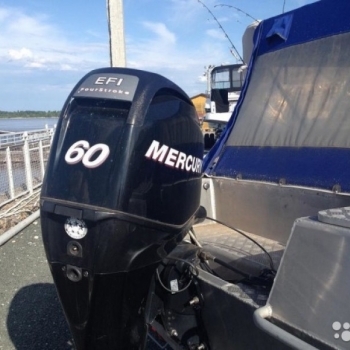 The maximum speed at full loading with the ELPTO Mercury 50 horse power 2 stroke engine is above 50 to 55 km per hour. 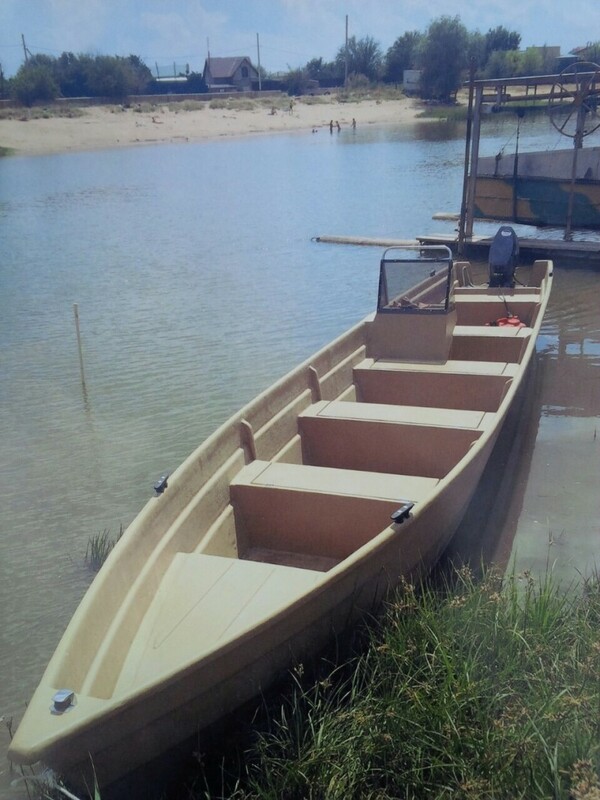 | Due to shallow water draft (20 cm) and 2 cycle motor sufficiently powerful for such a boat, this boat is splendidly fit for both fishing (underwater hunting) and hunting in the flattened part of the delta (at the flats). 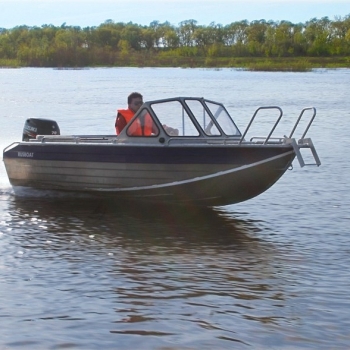 This boat has an open bow cockpit which provides additional comfort when fishing or hunting. The boat is equipped with a bridging board that makes it comfortable to board the boat. The price is 75 USD per day. The rental of this boat always includes a fisherman/hunter. The fisherman’s / hunter’s services are included. 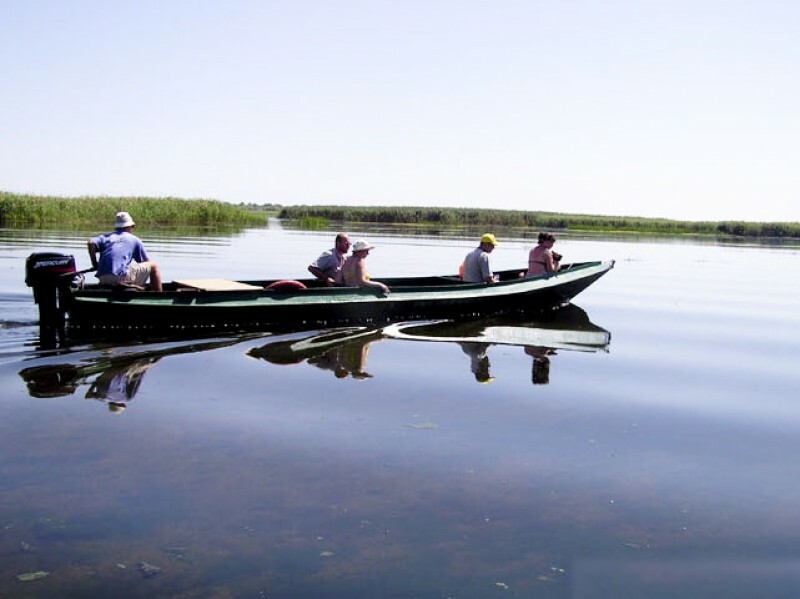 This boat is made of light composite materials and due to its shallow draft (12 cm) is just irreplaceable for hunting and fishing (underwater hunting) both at the flattened part of the Volga Delta (at the flats) and in the west steppe lakes abundant in fish and game. 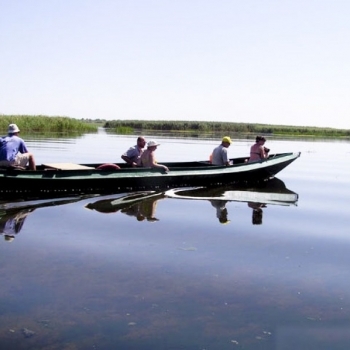 Due to design features of the boat, there is a unique opportunity to reach the remotest nooks of the Volga Delta. 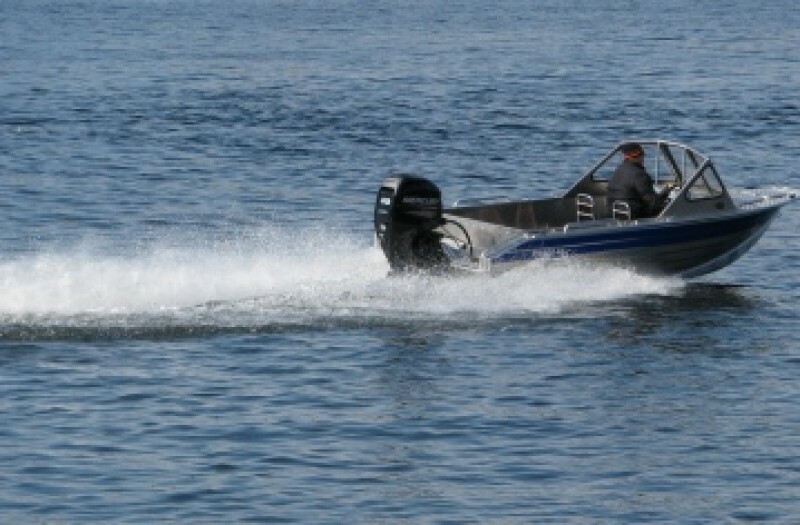 The maximum speed at full loading with the ELPT EFI Mercury 30 horse power 4 stroke engine is above 42 to 45 km per hour. The price is 60 USD per day. The rental of this boat always includes a fisherman/hunter. The fisherman’s / hunter’s services are included. 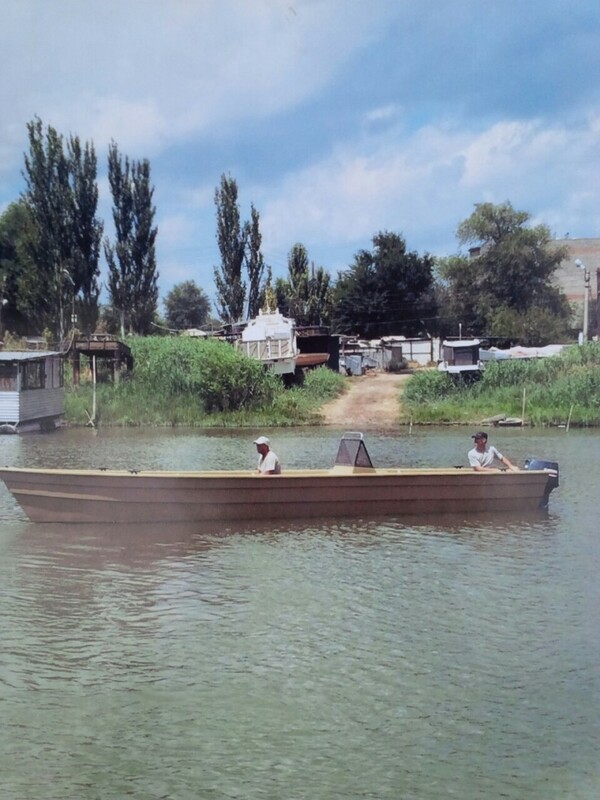 This boat is made of light composite materials and coupled with the Mercury 15 horse power 2 stroke engine is ideally fit for both hunting and fishing (underwater hunting) in rivers and hunting and fishing (underwater hunting) in small channels and lades which are abundant in the Volga Delta, as well as in the west steppe lakes.The maximum speed at full loading with the ELPT EFI Mercury 15 horse power 2 stroke engine is above 32 to 37 km per hour. The price is 40 USD per day. The rental of this boat always includes a fisherman/hunter. The fisherman’s / hunter’s services are included. We request you to take a note that fuel is paid separately based on actual consumption using the following prices: pure petrol – 0.8 USD/l, mixture (petrol with oil for 2 stroke engine) – 1 USD/l.